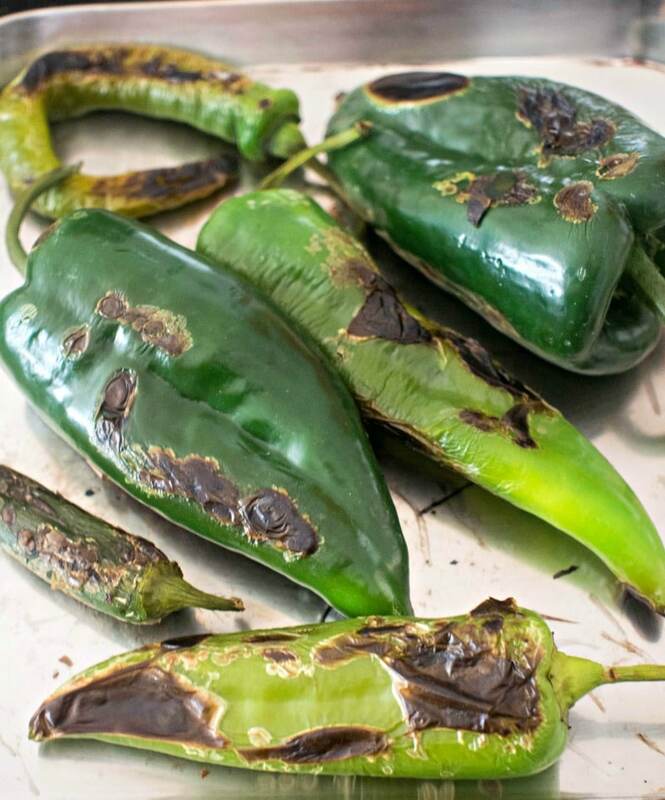 I love Chile Rellenos, but making them is pretty complicated, since it involves roasting, stuffing and deep frying the peppers. 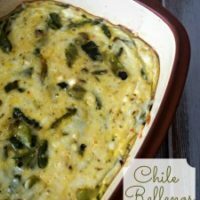 So I came up with this much simpler way to get a similar taste, by making an easy Chile Rellenos Casserole. To make this casserole really simple you could use canned chile peppers, but I chose to use fresh ones instead. 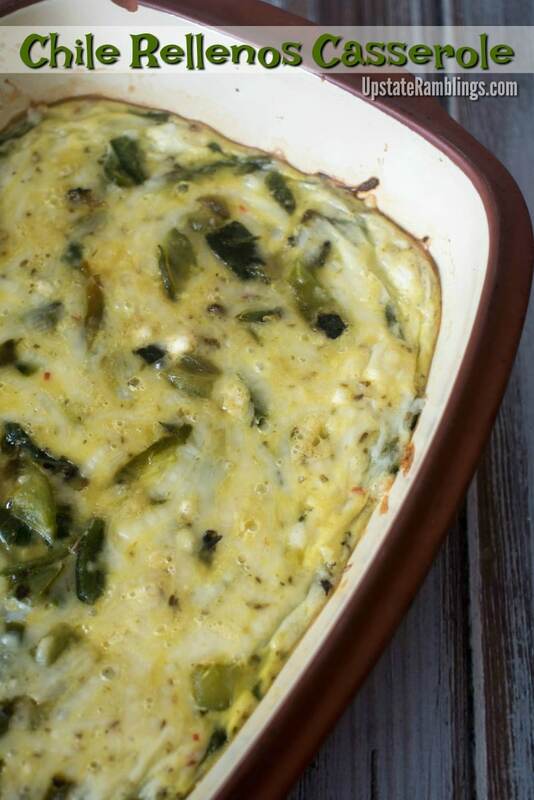 I used four different types of chile peppers for the casserole, Poblano, Anaheim, California and Jalapeno peppers. All of them but the Jalapeno are relatively mild, but if you wanted to make things spicier it would be easy to pick hotter peppers! A gas oven or grill is usually suggested for roasting the peppers. But I don’t have a gas oven, and my grill is covered in snow, so I just heated them on our pancake griddle on the stove. After about 20 minutes of turning peppers I had them nicely blackened and roasted. My kids loved this with tortilla chips, and it makes a great game time treat for football snacking! 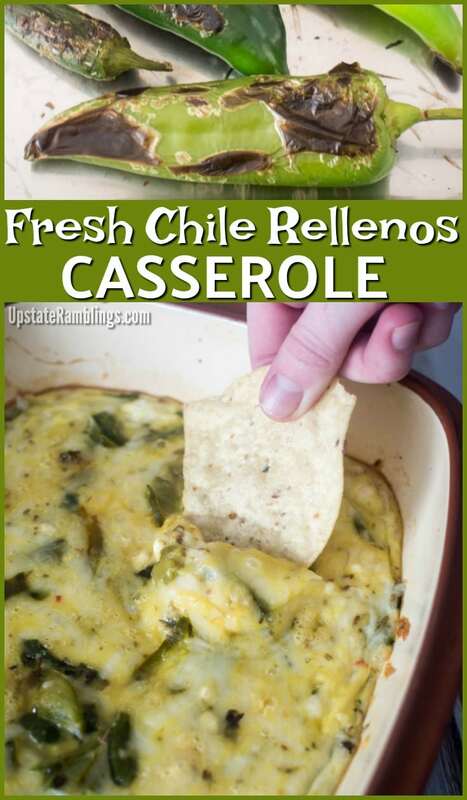 This easy casserole is made with fresh chile peppers and is perfect for dipping tortilla chips and eating while watching football. Roast the chile peppers by broiling or cooking over a flame until the skin is blackened. Let them sit in a bowl covered in plastic wrap for 15 minutes. Peel the blackened skin off the peppers, then remove the seeds and chop. 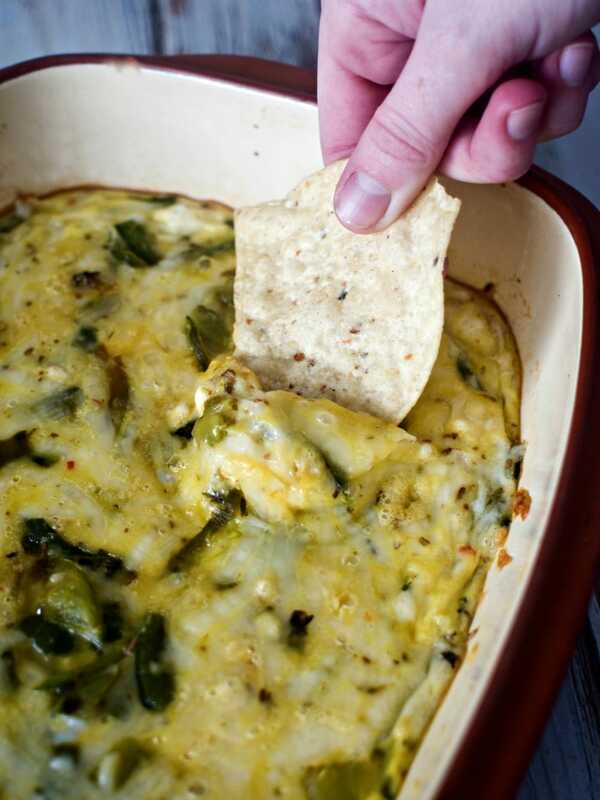 Spread the chili peppers in a casserole pan and sprinkle the cheese on top. Combine the eggs, milk, cornmeal, baking powder and salt in a bowl, and mix well making sure there are no lumps. Pour the mixture over the chile peppers and cheese and bake for 15-20 minutes. Oooooh, this would make a great dish in the summer when our garden is producing! Thanks so much. Looks delicious. I love the idea of roasting fresh peppers instead of buying canned. I never knew how to roast or grill chilies and the pancake griddle was genius! My husband would love this recipe because he loves the spicy foods! Boy does this look fantastic! I am a dip fanatic and love all types! We usually put them in salsas, never thought about making them into a casserole! My son just asked me what Chile Rellenos was last night so I was searching for a good recipe to make with him. Your looks and sounds delicious! I am going to make it with him on Saturday. Thanks! Oh my gosh -this looks soooo good! Pinned! This would be great to try for our next Game Day party! I think it would really popular! mmmmmmmm, this looks so GOOD! This looks so amazing!! I love southwestern recipes, YUM! 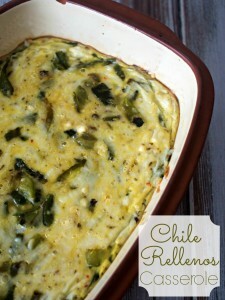 I love chile rellenos and this takes it to a whole new level. I found your recipe over at the Two Cup Tuesday link party. I host Tickle My Tastebuds Tuesday and would love it if you would come over and share this recipe. Iâ€™m sure our party goers would love it! 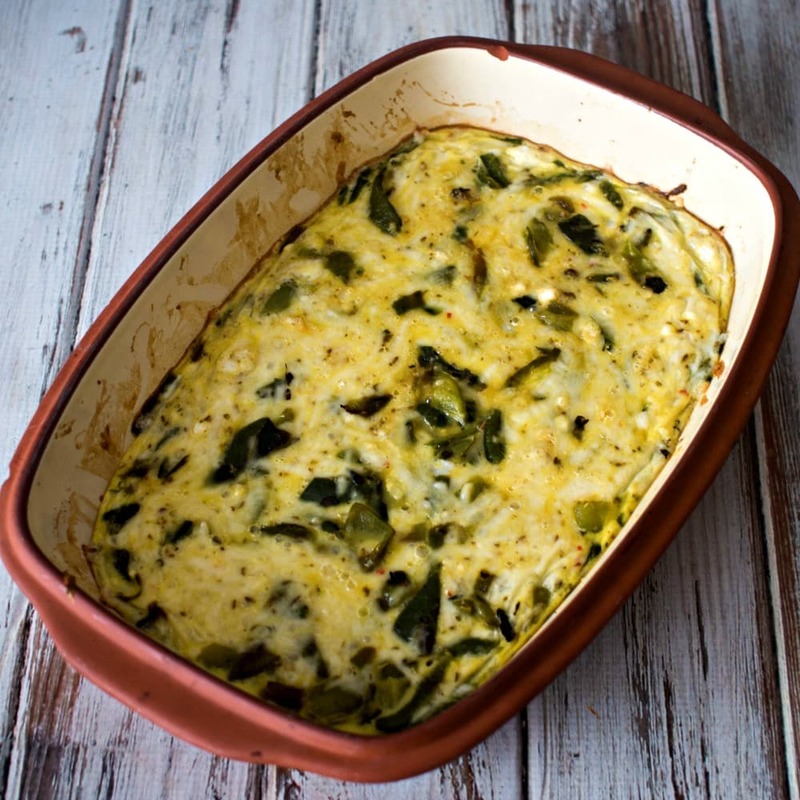 We love Chile Rellenos and this Casserole will be fabulous! Hope you are having a great week and thanks so much for sharing your awesome talent with Full Plate Thursday. OMG this looks so yummy. I love chile rellenos. This looks wonderful! This would be perfect for parties. 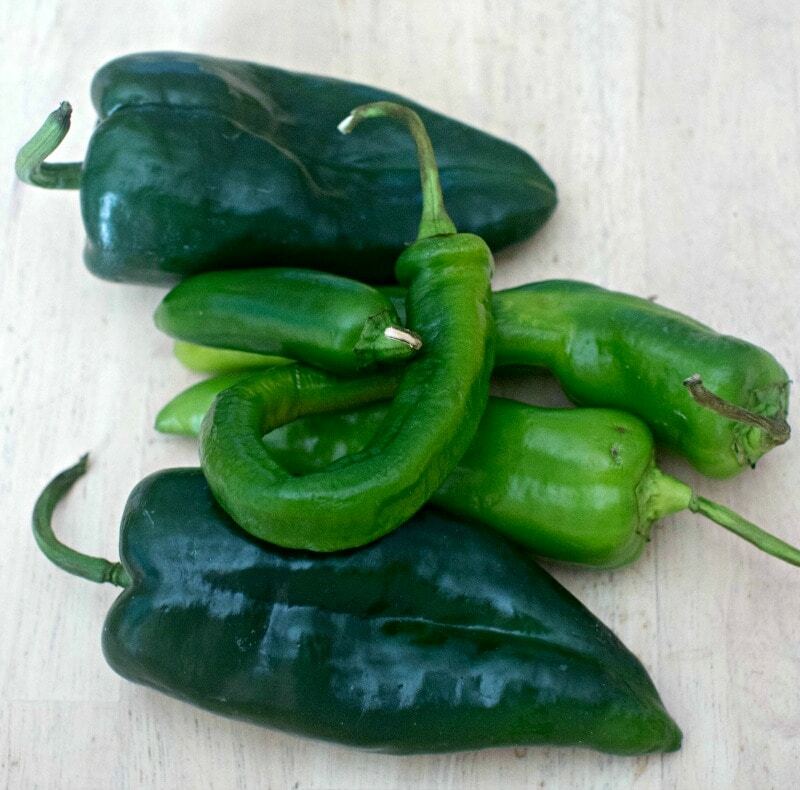 Chiles Rellenos are one of our favorites, but I agree–lots of work/time goes into making them. This casserole has my name on it! Thank you – sounds really good.